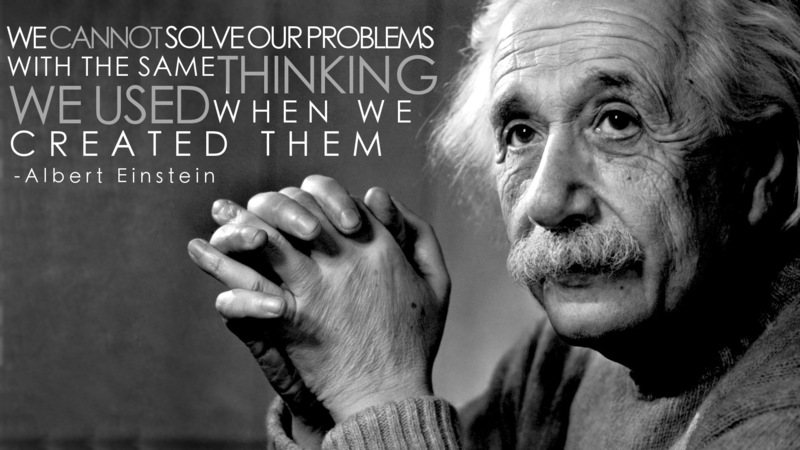 25 Phenomenal Albert Einstein Quotes : Albert Einstein was born on March 14, 1879 in Germany. He was a genius in true sense of the word. He developed the special theory of relativity. 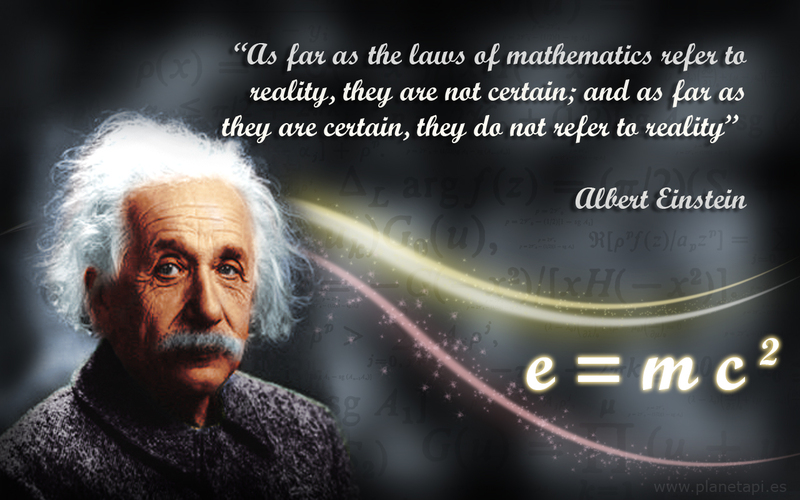 He is the founder of the concept of matter-energy transformation and formulated the world’s most famous equation E= mc2. He died on April 17, 1955 at the age of 76 due to excessive internal bleeding caused by rupture of an abdominal aortic aneurysm. He didn’t undergo surgery and said, ‘I want to go when I want. It is tasteless to prolong life artificially. I have done my share, it is time to go. I will do it elegantly.’ He was a simple person. His services in the advancement of science especially physics have become the part of history and can never be forgotten. He was awarded Nobel Prize in 1929 owing to his contribution towards theoretical physics and more precisely for the discovery of ‘Law of photoelectric Effect’. Today I am pleased to present a very precise yet informative and intellectual post to my viewers. 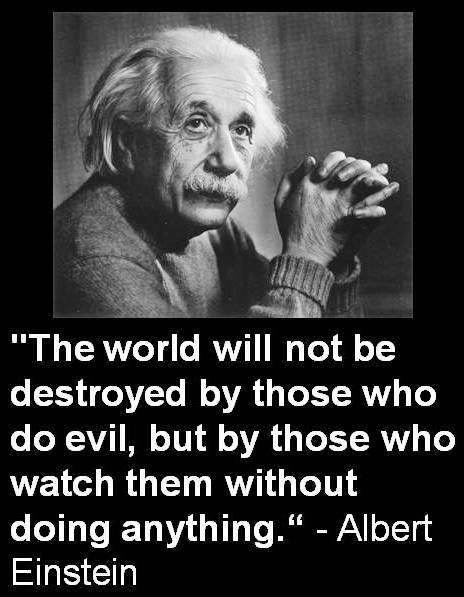 Einstein quotes are his words of wisdom and advice to those who are thankful to him for opening new avenues of research in physics and make it easy for them to understand certain natural phenomena. Do give these quotes a look and you would love his personality even more. Also see other famous authors’ quotes on my blog like Maya Angelou Quotes. I hope you like them too. Do provide your feedback at the end. Thanks for visiting my blog. Two things are infinite. The universe and human stupidy. and i’m not so sure about the universe. I see a pattern, but my imagination cannot picture the maker of that pattern. 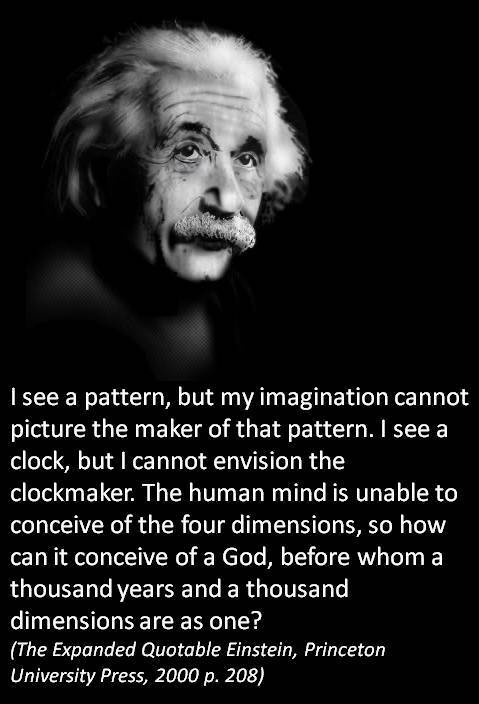 I see a clock, but I cannot envision the clockmaker. The human mind is inable to conceive of the four dimensions, so how can it conceive of a God, before whom a thousand yearsand a thousand dimensions are as one? A question sometimes drives hazy : Am I or are others crazy? He who joyfully marches to music in rank and file has already earned my contempt. he has been given a large brain by mistake, since for him the spinal cord would fully suffice. This disagree to civilization should be done away with at once. Heroism at command, senseless brutality, deplorable love-of-country stance, how violently I hate all this, how despicable and ignoble war is; I would rather be torn to shreds than be a part of so base an action! 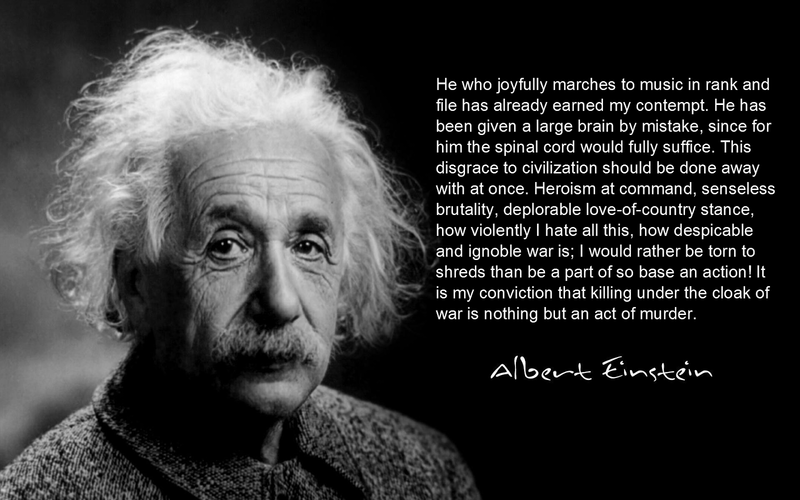 It is my conviction that killing under the cloak of war is nothing but an act of murder. 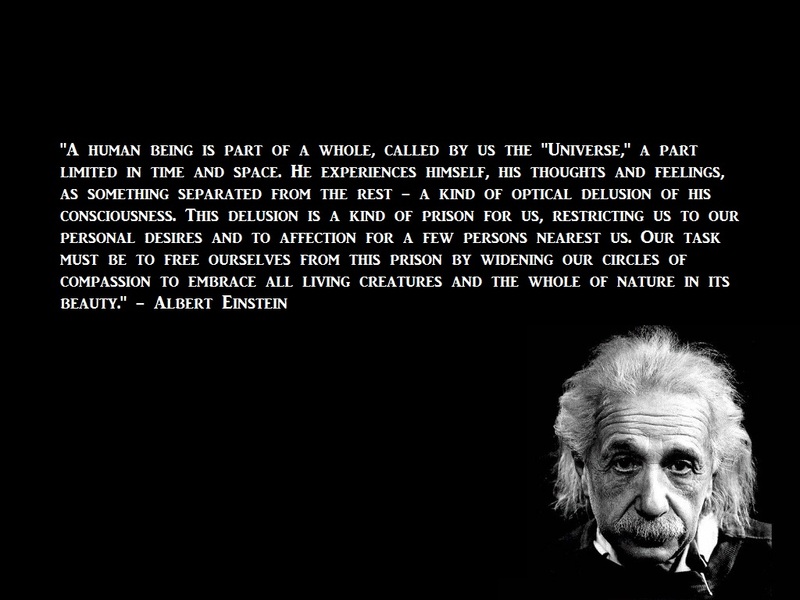 A human being is part of a whole, called by us the Universe, A part limited in the time and space. He experince himself, his thoughts and feelings, As something sparated from the rest – A kind of optical delusion of his consciousness. This delusion is a kind of prison for us, restricting us to our personal. Desires and to affection for a few person nearest us. Our task must be to free ourselves from this prison by widening our circles of compassion to embrace all living creatures and the whole of nature in its beauty. Insanity : doing the same thing over and over again and expecting different result. I have no special talents. I am only passionatrly surious. If at first an Idea isn’t absurd, there’s no hope for it. The ability to portray people in still life and in motion requires the highest measure of intuition and talent. 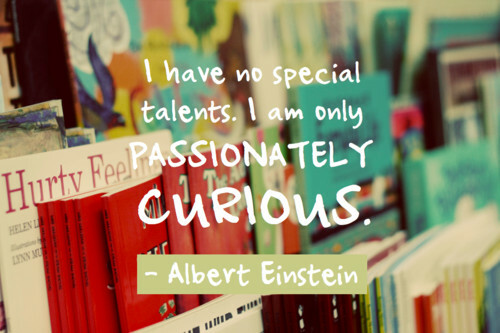 We hope our collection on 25 Phenomenal Albert Einstein Quotes is being like and loved by you all. Please do not forget to share this article on social networking site such as facebook, whatsapp, hike, bbm, wechat, instagram, line, viber, pinterest, stumble upon, twitter etc. Do provide us with your comments below the article in the comment box. Keep in touch with us to get more updates on wallpapers and many more things.